Incredible! Canon just launched a new EF 600mm f/4 IS III USM. Truly, I was waiting for the launch of the DO version instead. The 600mm f/4 DO has been announced since 2015! And we are still waiting… The 600mm lens is the gold standard lens when it comes to serious bird photography. In short, the new “regular” lens is a couple pounds lighter and offers an improved image stabilization over the prior generation. Does this justify upgrading? Read the official press release from Canon. While, as any serious bird photographer, those new launches are very exciting, I am not sure I will spend hard earned money going through the upgrade… When looking at the impressive results of the 400mm DO II, I am more likely to wait for the 600mm DO to come out. The saving in weight will be even greater, making it so much easier to hand hold!! Support the blog by following the links for your purchases. It comes at no extra cost to you and it helps keeping this bird photography blog lively! There is a large size Black Skimmer nesting area in South West Sarasota, along the Florida Gulf. I had the chance to take a peek during this Summer and bird photography opportunities were quite good. The nesting season lasts about a couple of months, starting in June. This photograph was created with the Canon 600mm f/4 L IS II USM lens (review) and the Canon EOS 7D mark II. The advantage of creating images close to a nesting area is to catch some of the birds flying in and flying out, maximizing your chances for bird in flight photography. 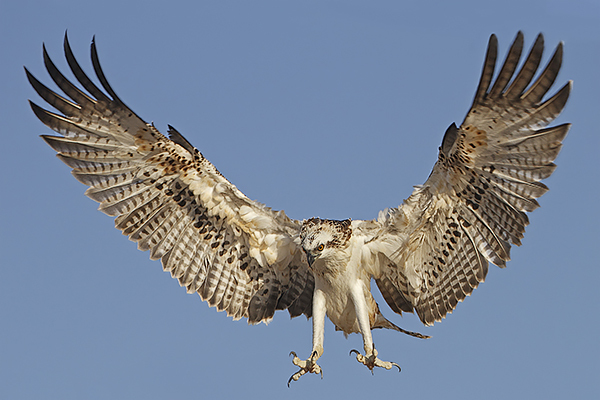 As in the above, you might even compile flight, great wing position and prey in the beak altogether! 🙂 The birds stay close to fish and feed the youngs with fresh catch. Plus, the young chicks are always very cute subjects. It is always nice to create a nice family portrait. If you want to have both birds in focus while using a long lens, you would want to have both birds parallel to you and in the same focus zone. Since long focal lenses will narrow the depth of field, it will be very difficult to have a sharp focus on both subjects if one bird is standing closer to you. This photograph was created with the Canon 100-400mm f/4.5-5.6 L IS II USM lens (review) at 400mm and the Canon EOS 7D mark II. Note that Black Skimmers have a longer lower mandible. This is how they can fly low and skim over the water surface. They simply clap their beak once the lower mandible feels a prey and voila! Support the blog by following our links for your purchases. It comes at no extra cost to you and it helps keeping this bird photography blog lively! If you are more on the creative side than the documentary side, you surely have tried to create some artistic blurs along your bird photography adventure. Here are a few tips that I found most useful in this endeavor! Which shutter speed for blurs in bird photography? While the answer to this depends on the speed of your subject, I would advise anywhere between anywhere from 1/15s to 1/60s for birds in flight photography. Use a slower shutter speed when the light is very low or when the subject is fairly slow. The slower you go and the stronger the blur will be, making it harder to render anything sharp. Typically, I will work in shutter speed priority during low light conditions, whether a bit before sunrise or a bit after sunset. This photograph was created with the Canon 600mm f/4 L IS II USM lens (Canon 600mm f/4 L IS II USM review) and the Canon EOS 5D mark III. Which panning technique to use? Yes, that is right… You need to pan your camera at the same speed that the subject is flying by in order to have a chance of having some body parts more sharply rendered. It is all about practice here… And this how you may have a decently sharp head with blurry wings! This photograph was created with the Canon 70-200mm f/2.8 L IS II USM lens at 200mm and the Canon EOS 1DX mark II. The Bald Eagle with a fish in its talents above was created during the 2017 Alaska Bald Eagle Tour. You may want to pan in the direction in which your subject is going. In this case, it is a slightly upward diagonal panning motion. I am really proud of the sharp head here!! It was heavily snowing and I had been trying to create an image with streaks of snow for a strongly movement oriented composition. This photograph was created with the Canon 70-200mm f/2.8 L IS II USM lens coupled with a 1.4x extender at 250mm and the Canon EOS 5D mark III. The idea is to stay motionless (no panning! ), and create the blur effect while zooming in or zooming out. I find this easier to do while zooming out. Make sure your point of focus is dead center in your image though. The blur streaks will mechanically go out or towards the center. If you want the point of focus of center, as in the image above, you will need to crop appropriately in post production. Ah yes… another type of blur is to keep your camera still, while having the birds passing by. This looks especially good if you have non moving environmental elements in your composition. This bird photography collection is dedicated to some of my most successful Roseate Spoonbill images. You will find your favorite pink bird in many different Florida environments, whether with young birds or adults in full breeding colors. “Pink Symphony” was shortlisted at the 2018 BTO Bird Photographer Of The Year and was a semi-finalist at the 2017 Nature’s Best Windland Competition. For the Florida bird lovers, seek no further! This is a very diversified collection, but if you are looking for Spoonbills go back to the actual Florida Spoonbills Collection. “Twilight Blur” is one of my all time favorites. Commended at the 2018 BTO Bird Photographer Of The Year, I had always thought this unique image would have performed even better in competition. It is my best seller though!! And it is available in very large format. This collection was born from the 2017 Alaska Bald Eagles tour! “Snow Storm Landing” was a finalist at the 2018 BBC Wildlife Photographer Of The Year. I have recently put more effort into creating a Black and White collection. Not often seen with birds, I hope to accomplish something out of the ordinary here.